The American Industrial Hygiene Association (AIHA) released its first ever public policy agenda this week. The agenda items address both workplace safety and health concerns and the needs of its members. AIHA is an organization of nearly 8,500 safety professionals, many of whom are certified industrial hygienists. Large amounts of data could be transformed into knowledge to better protect workers, according to AIHA. However, such progress depends upon developing methods of standardizing and interpreting data, as well as, technological innovations and training programs. AIHA called for government funding for research in addition to grants to develop and implement training programs. The group also wants to see government funding to explore possible application of blockchain technology to worker safety and health. Blockchain is the encrypted ledger system that supports the cryptocurrency bitcoin, but it may have other applications. AIHA also called for significant increases in government funding for research and development of sensors to detect workers’ exposures to biological, chemical, physical, and radiological hazards. The groups also would like to see data analysis, sensor, and other technologies applied to getting a better sense of workers’ total exposures to safety and health hazards—both on an off the job. While researchers know that both occupational and nonoccupational activities can interact to affect worker health; those interactions are not well understood. 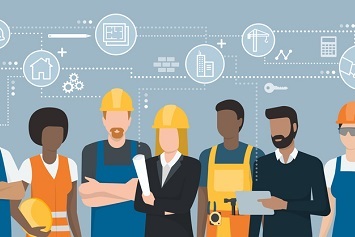 AIHA wants Congress to double funding for the Total Worker Health Program at the National Institute for Occupational Safety and Health (NIOSH). AIHA called attention to the safety and health of teen workers and temporary and contract workers. The group wants state and local governments to require a workplace safety curriculum in schools for grades 7 through 12. AIHA also is seeking federal and state grants for teacher training in teen workplace safety. The group said temporary and contract workers sometimes are placed in hazardous jobs without adequate safety and health training. The group called for increased funding for the Susan Harwood Training Grant program administered by the Occupational Safety and Health Administration (OSHA). Drug testing and voluntary prohibition of marijuana use by workers in safety sensitive positions until impairment is better understood. Occupational injuries, which result in prescriptions for opioid pain relievers that may lead to misuse. OSHA stakeholder meetings to assess the need for a federal standard on workplace violence prevention. AIHA also called for a Congressional commission to examine OSHA’s standard-setting process for occupational exposure limits. The groups advocated the widespread use of control banding or “hazard banding” methods for hazardous substance without a formal occupational exposure limit. The group also wants greater protections for the Certified Industrial Hygienist and Certified Safety Professional titles, as well as the development of a future safety professional workforce. The groups would like to see greater participation of its members in disaster planning, response, and recovery to identify and control hazards faced by disaster response and recovery workers, as well as community members.